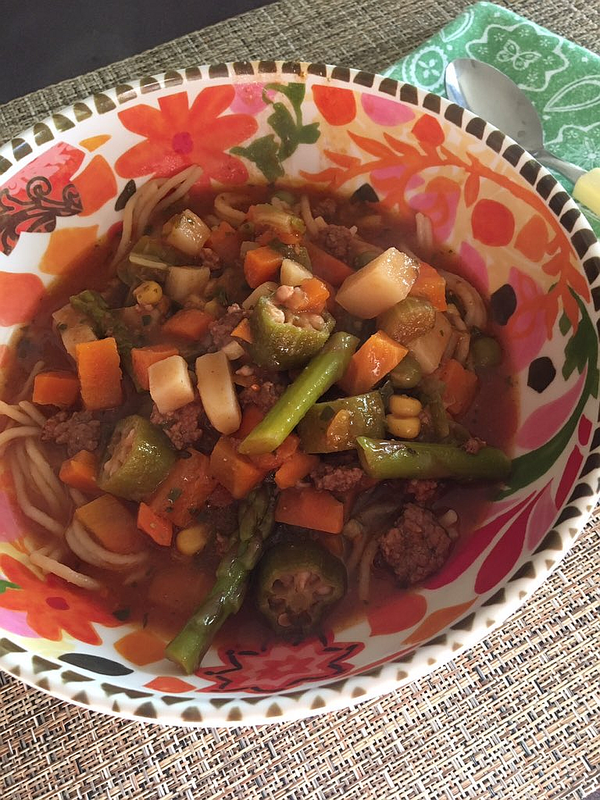 Soup, Stew and Chili – Get Cooking! Soups and salads. Salads and soups. Two of my most delicious obsessions in the entire world. Along with catfish, strawberry sundaes, coffee, and raspberry tea, soups and salads are never far from my mind or reach. 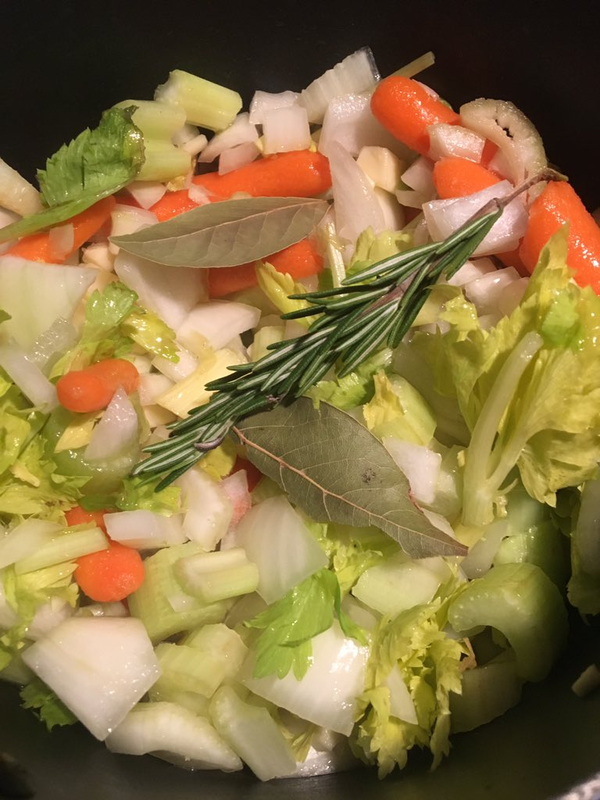 While I eat more salads in warmer weather than in the cooler months, soup is a year-round thing with me. They’re photogenic (I ain’t going to lie, we food bloggers dig that). The options and possible combinations are, literally, endless. With planning, soups or salads can accompany a meal or they can be the meal. You can tweak this and pinch that to achieve your own personal vibe. If peppers are your favorite vegetable, simply add more. If (like my husband and two of our three daughters) you live for garlic, add an unseemly and obscene amount! Most soups and salads are inherently gluten-free (especially if you make them yourself and read labels). 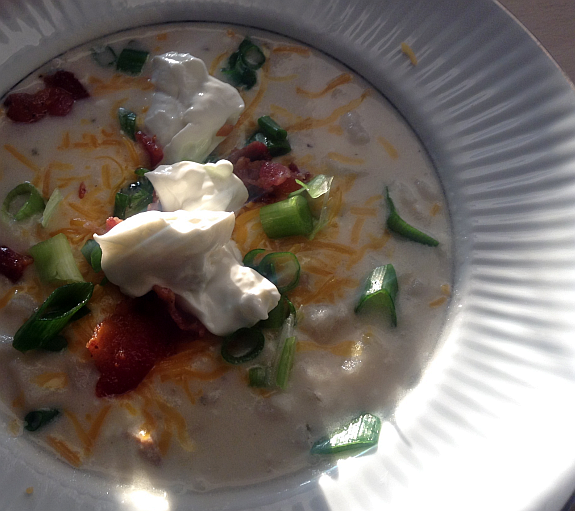 Soups can be assembled in the morning and cooked in the slow-cooker all day. 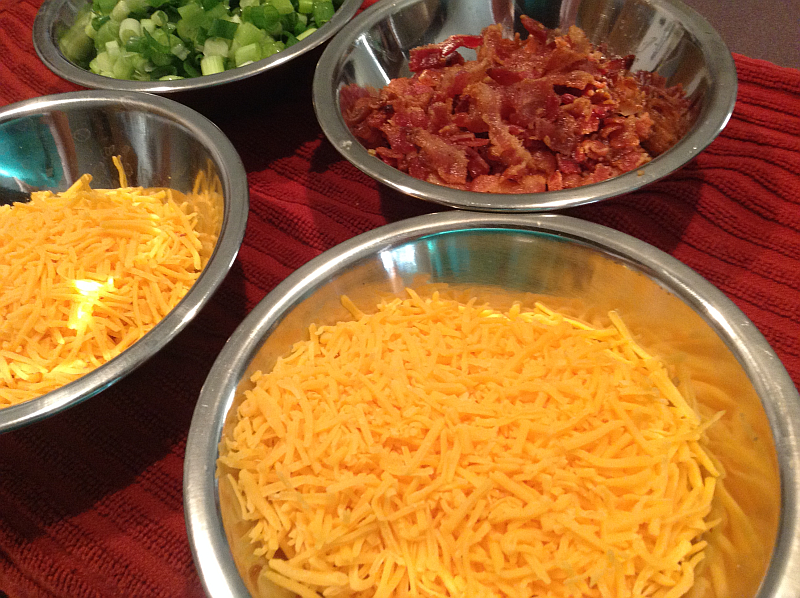 The smell fills the home and your family simply has to dish the deliciousness into their bowls when they’re ready. They can be very inexpensive to make. Love that. Soups and salads can be as healthy as you want them to be. This is probably my favorite thing about them. I mean, what better way to “up” your veggie count for the day than throwing them all together and making something fantastic while you’re at it?! The infographic below is from Pounds to Pockets and gives you a beautiful and very helpful guide to 9 favorite soups. Enjoy! 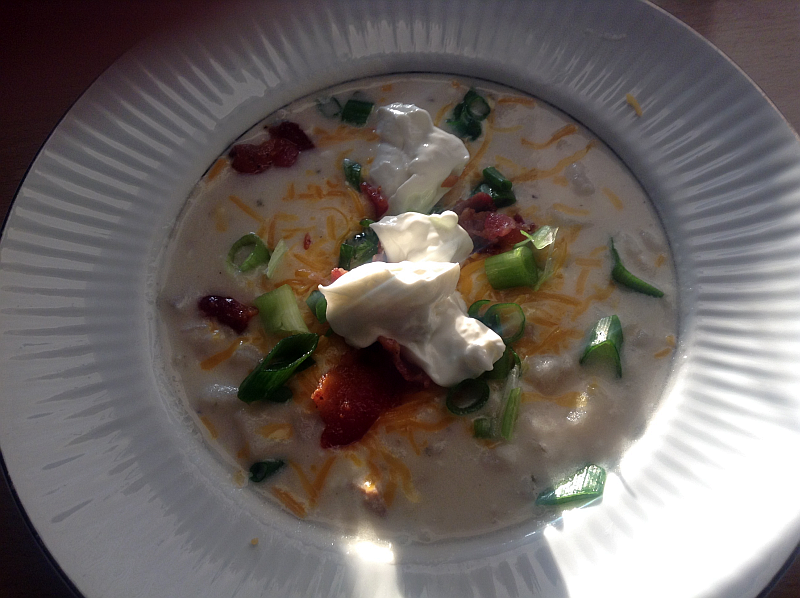 See Also: For one of my favorite soups see my Loaded Baked Potato Soup in the Crock-Pot recipe. When I had to start eating gluten free, like so many people I was shocked to discover just how many products contained gluten. One of my biggest disappointments was the fact that Campbell’s Tomato Soup was not gluten free. I grew up on that soup and, honestly, counted it amongst my most comforting comfort foods. While I love to make homemade soups, tomato soup is one that I’d rather just open, pour, heat, and eat. I thought that was a thing of the past, but fortunately Chicken Soup for the Soul makes a delicious Gluten Free Tomato Soup and I couldn’t be happier. 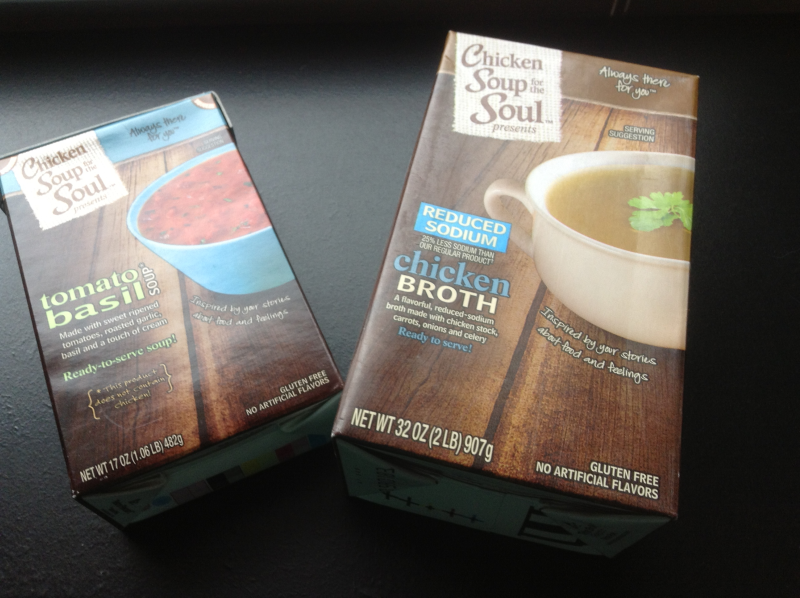 Chicken Soup for the Soul Tomato Basil Soup has no artificial flavors and…. 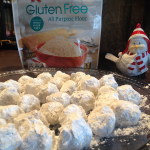 drum roll… no gluten. Best of all, it’s absolutely delicious. When I first saw the box, I was initially disappointed that it included basil, because I’m accustomed to enjoying tomato soup that tastes only like tomato soup. You know, add a little salt and pepper and you’re set. After a bite, however, I wasn’t at all mad at the basil. In fact, it goes so beautifully with tomato soup that it kind of made it hard to imagine the flavor NOT being there. 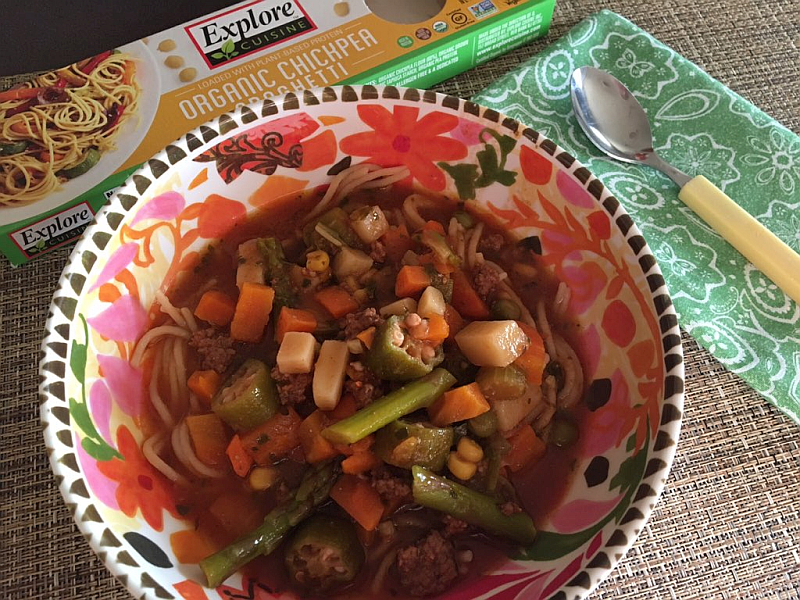 Whether you have to eat gluten free, choose to eat gluten free, or are simply a fan of delicious soup, you’re going to love this one. Click through the link or one of the pictures for more information. I’ve got my mind on soup and soup on my mind. 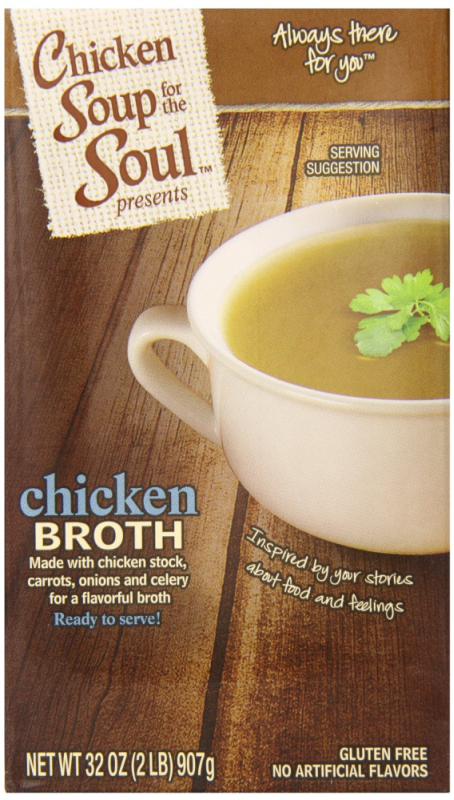 A new Soup Cookbook (click the link for my review) has only intensified my obsession with soup. Last night, as I was enjoying a bowl of Chinese Won Ton Soup, I thought about soup tureens. I’ve never had one, oddly enough. I just (shhhh, don’t tell anyone) use my crock pot. I wouldn’t mind upping my game, however. A great looking soup tureen could completely cement my presence in the soup world. I went to one of my favorite online shopping destinations (Amazon) this morning and found some really amazing soup tureens. All sizes, all colors, all prices. The one you see above, the Cabbage Leaves Soup Tureen , is one that stood out. I love how deliciously unexpected it is. I never knew the humble head of cabbage could be so artistic. In the slideshow below are other examples of cabbage putting on its fancy pants. 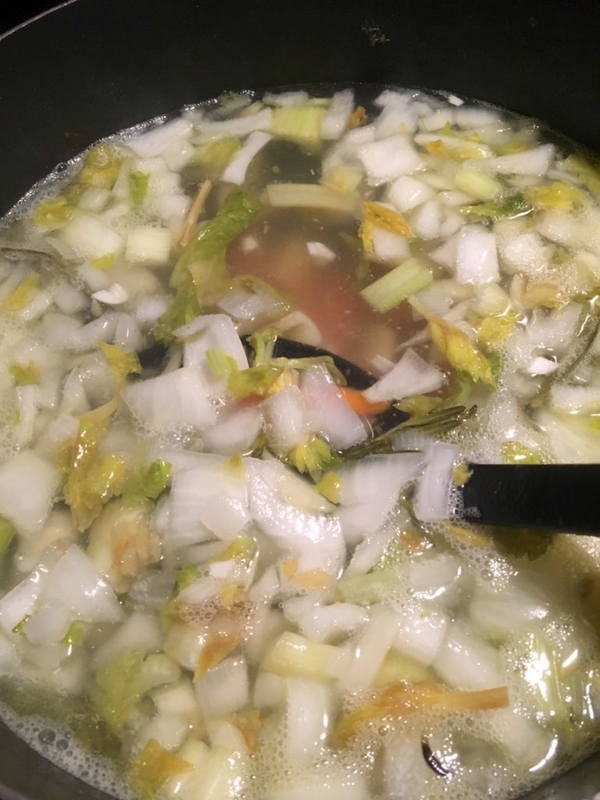 One of my favorite foods to eat is soups and soup recipes are some of my favorite recipes to collect and make. I also love to come up with my own soup recipes. I would say that I love soup especially during the fall and winter, but the funny thing is I love it year round. 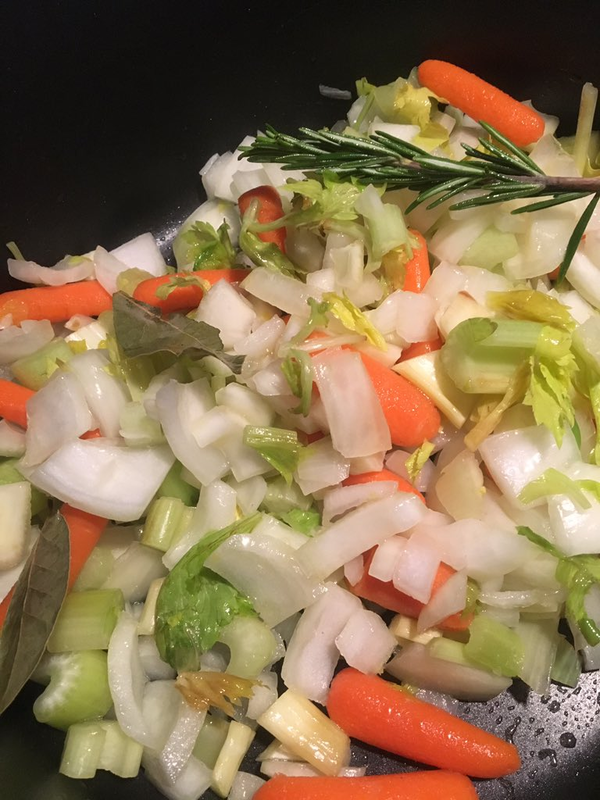 Sure I may make even more of it during the cold months, but that’s because my family looks at me oddly when I have homemade vegetable soup on the table in August. A recent cookbook I was sent to review was, obviously, right up my alley: 300 Sensational Soups is packed with hearty, delicious soup recipes that’ll keep me deliriously entertained for years. As you might expect, I’ve already made several of the recipes and have been blown away each time. 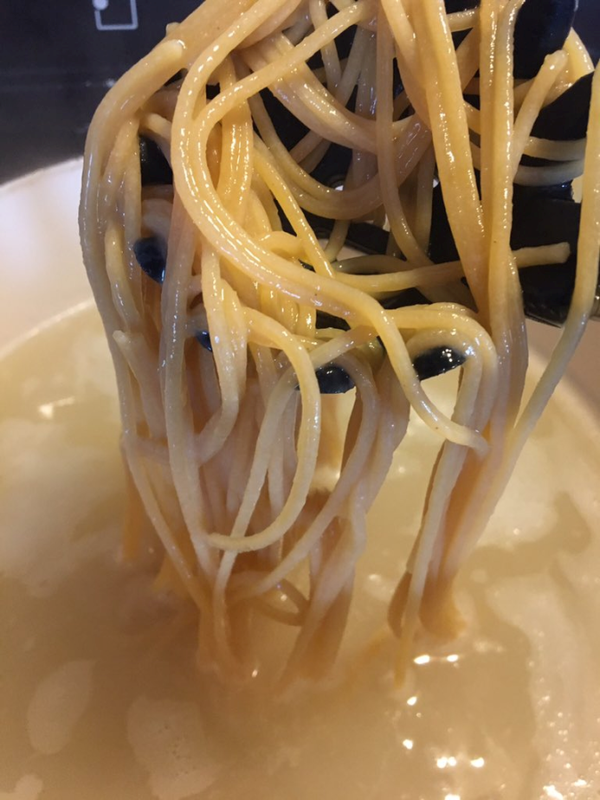 There are vegetarian soups, meal lovers’ soups, Asian soups, Italian soups, traditional favorites, chowders, cold soups, hot soups, and even dessert soups! This paperback cookbook is only $16.47 on Amazon which is a ridiculously low price for so many great recipes. One of the recipes is below. It’s Texas Cowboy Soup and you’re going to freaking love it. If you can’t find canned tomatoes with green chiles, just use canned diced tomatoes and add a small can of chopped green chilies. Instead of canned corn, you can use 3 cups frozen corn kernels. Thaw and drain before adding to soup. In a large post, saute’ bacon over medium heat until starting to brown. Add ground beef and saute’, breaking up with the back of a wooden spoon, until no longer pink, about 5 minutes. Add garlic, onion, chili powder, cumin, salt, and pepper; saute’ until onion starts to soften, about 3 minutes. Add potatoes, beans, both cans of tomatoes. and stock; bring to a boil. Reduce heat and simmer until potatoes are just tender, about 20 minutes. Add corn and simmer for 10 minutes. In another bowl, whisk together egg, milk, and oil. Add to the cornmeal mixture and stir just until blended. Pour into prepared pan. 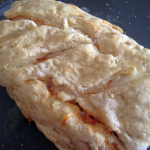 Bake in preheated oven until a tester inserted in the center comes out clean, about 20 minutes. Let cool completely in pan on a wire rack. 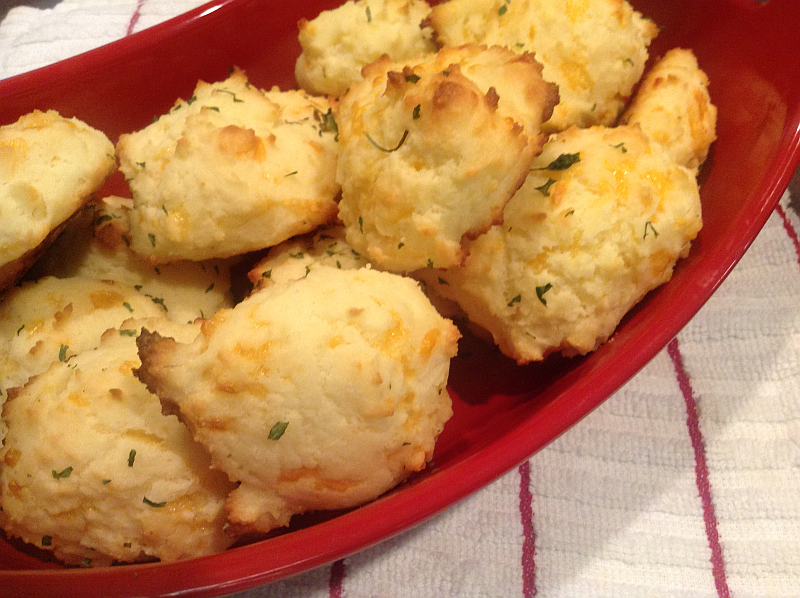 Preheat oven to 350 degrees F. Turn cooled cornbread out of pan and cut into 1-inch squares. Transfer to baking sheet and bake until dried and crispy, about 20 minutes. Let cool on sheet on a wire rack and use within 3 hours. From comforting creamy chicken and rice soup to refreshing gazpacho, 300 Sensational Soups offers something for every season, mood and occasion. There are 50 international soups, including Vietnamese pho, Italian wedding soup, and Middle Eastern harira. Soups from the sea include such favorites as snapper in Asian broth with habañero and shrimp, and shrimp and pea soup with lemongrass. 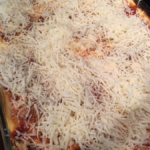 Each recipe also includes tips and techniques along with garnishing ideas. As well, there are many creative variations and serving suggestions. There is also the Just (Soup) Desserts chapter, which features 20 dessert soups, including coconut soup with mango fritters, chocolate soup with brownie croutons, and chilled cherry soup with crème anglaise swirl. 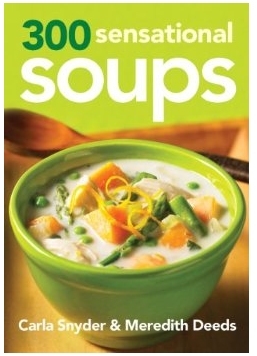 See 300 Sensational Soups for more information and to order your own copy! I always (always, always, always) try to do my best when it comes to cookbook reviews. Cookbooks are one of my greatest passions. I’ve collected them since I was around 18 or 19 and have never sold or given one away. Perish the thought! I have family heirloom cookbooks, store bought cookbooks, Church “Fund Raiser” Cookbooks (seriously great recipes can be found in these! ), and.. of course… cookbooks that have generously been sent for me to review on my food blog. 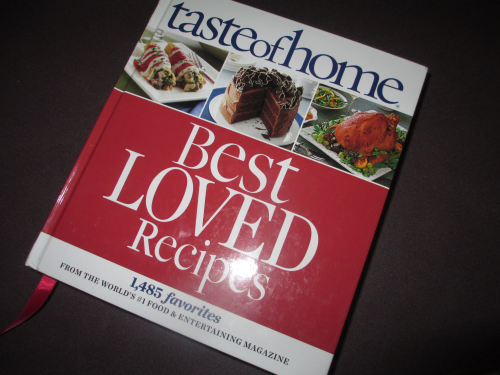 Taste of Home Best Loved Recipes: 1485 Favorites from the World’s #1 Food & Entertaining Magazine is one of the recent cookbooks I’ve received and I’ve been chomping at the bit to tell you all about it. I’ve waited for a few weeks, however, because it only recently (very recently) became available on Amazon. While, as I said, I try to do my best on all cookbook reviews, I get a little bit of stage fright when the cookbook is this extraordinary. My number one mission is always to get a cookbook that I love dearly into as many hands as I possibly can. With Taste of Home Best Loved Recipes: 1485 Favorites from the World’s #1 Food & Entertaining Magazine , I feel extra pressure because this truly is a cookbook you MUST have! What’s more, this is beautiful and huge cookbook would make the best gift imaginable for any foodie or cook in your life. Trust me, they’d thank you each time they used it. This is well over 1,000 recipes (1,485 to be exact) that will be used, loved, and reused indefinitely. What’s more, it looks great sitting on your kitchen hutch. It’s quite the looker! 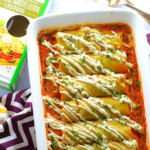 They’re all here—cook-off winners and bake-sale favorites, must-have comfort foods and secret family recipes, regional specialties packed with flavor and style. This collection contains 1,485 of the most requested, most beloved dishes, all submitted by Taste of Home readers. 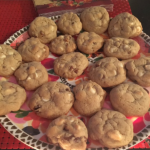 Recipes for all occasions are included from Blueberry Cheesecake Flapjacks to Caramel Apple Bread Pudding, mouthwatering main dishes from Creamy Seafood-Stuffed Shells to Chicken with Rosemary Butter Sauce, and delicious dessert recipes from Magnolia Dream Cheesecake to Chocolate Ganache Tarts. The most cherished magazine features are included: Mom Made it Best, Our Favorite Contributor’s Meals, Mealtime Express, Cooking for One or Two, Grand-Prize Winners and Potluck Picks. Besides special features, the remaining chapters cover everything from appetizers and beverages to entrees and sides and breads and desserts. 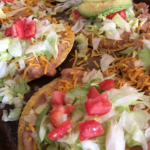 Below is the first recipe I made from Taste of Home Best Loved Recipes: 1485 Favorites from the World’s #1 Food & Entertaining Magazine . 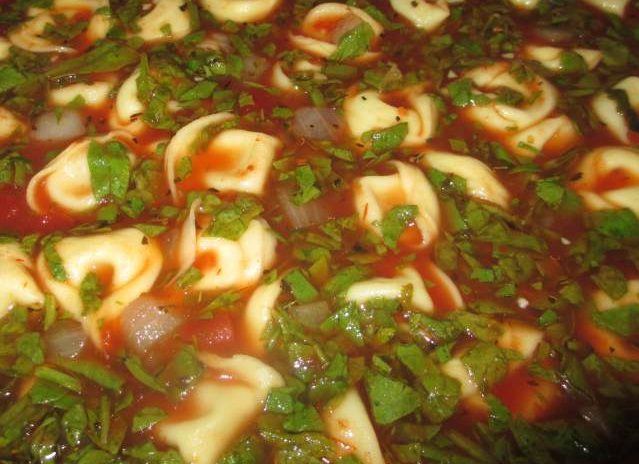 It’s called Holiday Tortellini Soup and it’s out of this world. 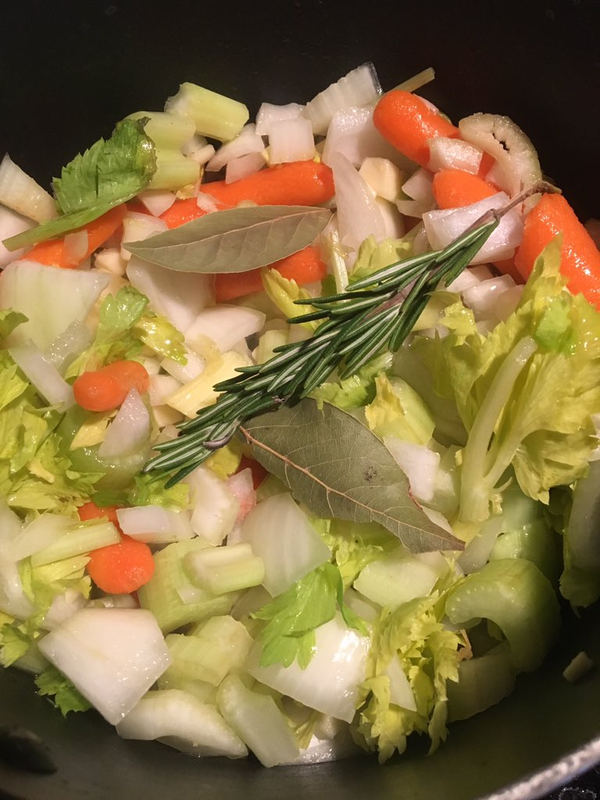 This will be a beautiful soup to make around Christmas – but I’m sure I won’t wait that long to make it again. Make this one as soon as possible – you’ll blow everyone away! Add pancetta. Cook until crisp. Add onion; cook 3-4 minutes or until tender. Add the broth and Italian seasoning; bring to a boil and simmer for 5 minutes. Meanwhile, cook tortellini according to the package directions; drain. Add the cooked tortellini to soup mixture. Stir in crushed tomatoes and simmer 5 minutes. Add the spinach and cook just until wilted. 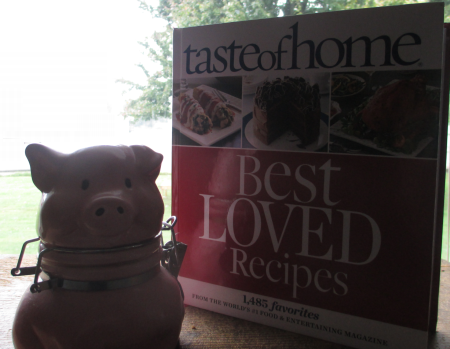 I don’t care if you’ve been cooking for 50 years, 5 years, or 5 days – you have to grab a copy of Taste of Home Best Loved Recipes: 1485 Favorites from the World’s #1 Food & Entertaining Magazine . While you’re at it, you’d really be smart to buy one for the foodie, seasoned cook, or new cook on your Christmas list. And what’s more, it would have been worth every penny! Amazingly, this collection of the best recipes in the world (what more would you expect from Taste of Home?) is just a little over $20. 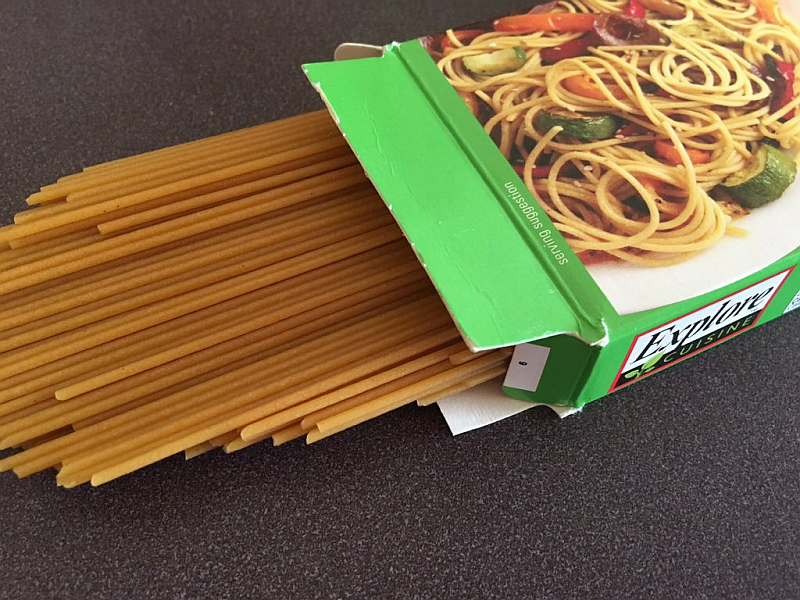 889 pages of recipes, tips, tricks, and pictures should cost a heck of a lot more than this. I sincerely hope you’ll take advantage of the price and grab this one today. You’ll thank me later, I promise! See Taste of Home Best Loved Recipes: 1485 Favorites from the World’s #1 Food & Entertaining Magazine !